This versatile décor accessory will help create a romantic ambiance at any wedding or special event. Incorporate with centerpieces or suspend from overhead for a magical effect. 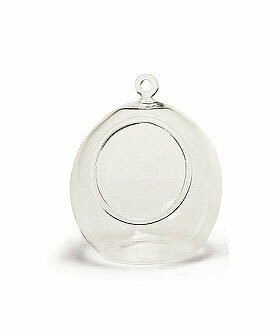 Perfect for use with flowers, feathers, crystals or other small trinkets in keeping with the theme. We highly recommend the use of LED versus natural flame tealights with this glass product. It is sold as a set of 4.